15 years ago, I was walking through the student union of my college when I saw a TV with a news story about a young man in Laramie Wyoming who’d been found badly beaten – and left for dead. 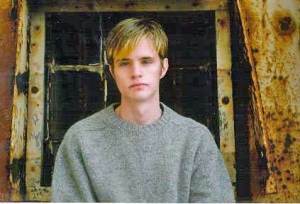 That young man was Matthew Shepard. His grisly murder not only acted as a lightning rod for our community, but it also caused many, including myself, to come out and be counted. Over the years, the media has tried digging deeper on this story only to be debunked at every conspiracy theory they could unearth. One of the first conspiracy theories around Matthew’s murder came from author Stephen Jiminez. In 2000, just 2 years after Matthew’s murder, Jiminez came across an anonymous letter claiming that Matthew was essentially in a sexual relationship with his murderer, Aaron McKinney. Despite McKinney’s denial of this, despite none of Matthew’s friends or family ever having seen McKinney in their lives prior to the murder and despite not even knowing who wrote this letter, Jiminez thought it necessary to craft a fiction about Matthew Shepard. Dozens of reputable bookstores around the country are not only stocking this innuendo-filled book, but they’ve invited Jiminez to speak and sell his book to more people. Please read the above article from Media Matters on just how hurtful this book is to the LGBT community. Then check the list of readings here and see if one of your local bookstores is hosting a reading. Drop them a line and let them know that they are giving a platform to someone who is spreading lies, rumor and conjecture which are aimed at spitting on the grave of Matthew Shepard. I’ve done the work of finding phone numbers for all scheduled book events for Mr. Jiminez. Please make the calls and let the stores know what’s going on. Most probably have no idea.